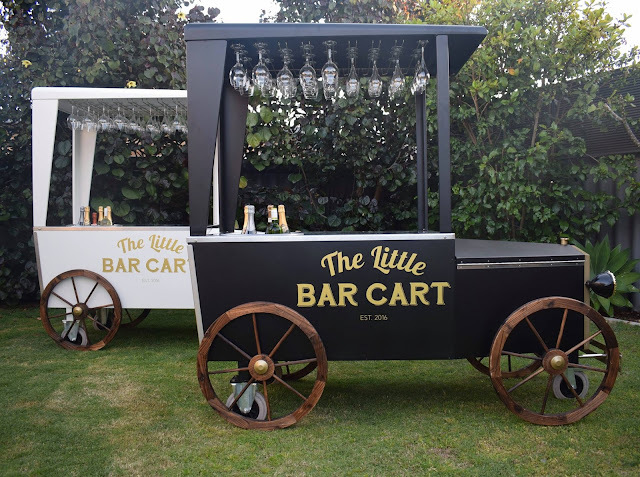 Quite simply, The Little Bar Cart is the sweetest bar on wheels! 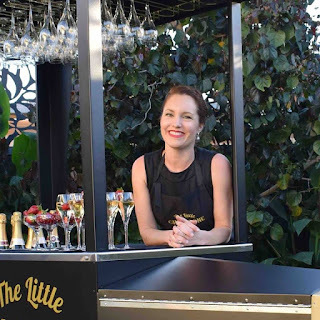 If you are looking to hire a full bar service for your Wedding reception, The Little Bar Cart has everything you need AND adds to your decor setting. Pippa from "TLBC" shares with us some exciting news about her new business venture from the very first light bulb moment to going national. "People who know me, know that I am an ‘ideas girl’. I have a new business idea almost every other week and am not afraid to give something a go. I’ve had my own business in the past, which I sold just after my son was born, as well as writing and publishing a book, and with my husband, have ownership in bars and taverns. After having children and being a stay-at-home mum for six years, I desperately wanted to find a challenge, one in which I could turn my ideas into a fresh new business. I was always mindful of balancing anything new with ensuring that it offered flexible hours so I could still be available for my children during the school week. With my Bachelor of Science degree, flight attendant employment (commercial and private), hospitality industry and customer service experience, the key was to somehow apply this knowledge and skill set, to my new business. Not only did it have to work financially, but it was also just as important for me to find something I would love doing. 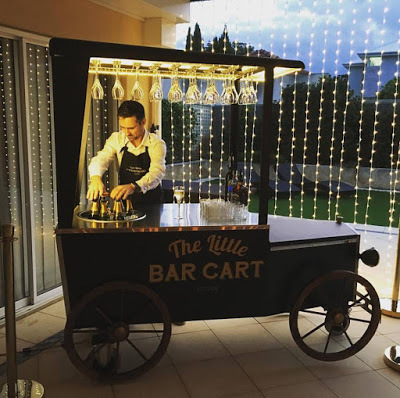 I’d toyed with the idea of a mobile bar before but it was not until I attended my brother-in-law’s wedding, that I realised there was something missing from the events industry. A sophisticated mobile bar service specialising in celebrations and Champagne! 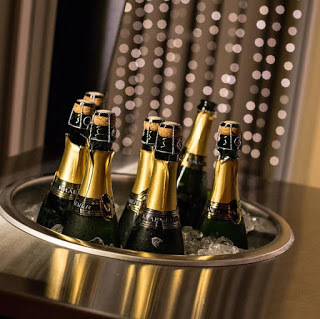 The quintessential celebratory drink, consumed at weddings, birthdays, anniversaries, to name a few, but festivities in general are usually famously celebrated with a bottle of bubbly. And what better to serve this than a Bar Cart! It was like a light-bulb moment. Six months of searching the web for carts resulted in no success, so I knew that I must be onto something. Over the next few weeks, I tested its market appeal by getting some feedback from several trusted friends. Some were more encouraging than others, but any feedback, good or bad, is always extremely valuable. I decided this was what I wanted to do. It was the perfect blend of my background with my customer service experience and my outgoing personality. 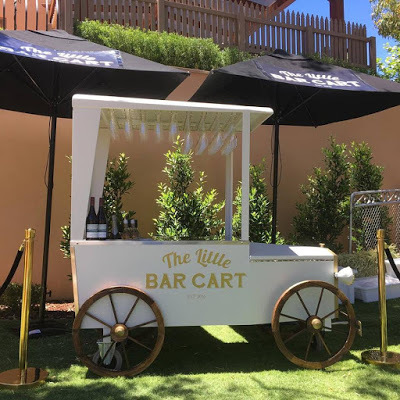 The design of the cart had to be appealing; the design had to offer great branding as well as thrill customers with a wow factor at their events. Again, back to the internet to double check that nothing could be bought off the shelf, but no luck. I searched Europe, China, and America for anything that resembled what I had in mind. Unfortunately, or fortunately, I couldn’t find anything that would have the design elements I had decided upon. I had only one solution – to design my own cart from scratch and have it custom made. Next on the list, was logos, website and social media. 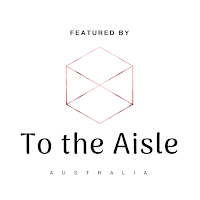 My wonderful sister-in-law designed my logo, I quickly learnt to build my own website with the help of a friend, and started what has become one of the most important elements of my business, the social media aspect. 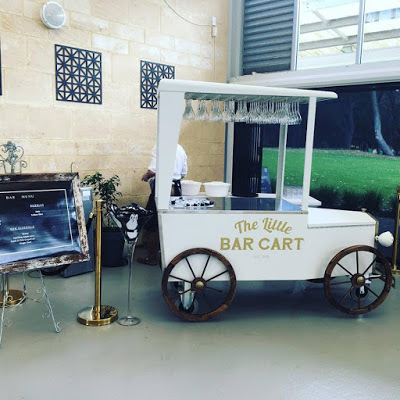 Using a clever app, and some photographs we had taken of the cart and champagne, I produced my own launch video, ready to post to my Instagram and Facebook accounts. On November 30, 2016, almost one year after my idea, I posted that video. What happened next, I could never have imagined. In the first week of launch, the video had over 33,000 views and have been shared over 6,500 times on Facebook. I received emails from all over the world asking where they could buy a cart! After the first five days of launch, I was receiving double bookings and so ordered my second cart to keep up with demand. I had newspapers and online media outlets, such as “The West” calling for interviews and several articles posted online by well-known websites and bloggers. I also had many people enquiring about franchise opportunities. 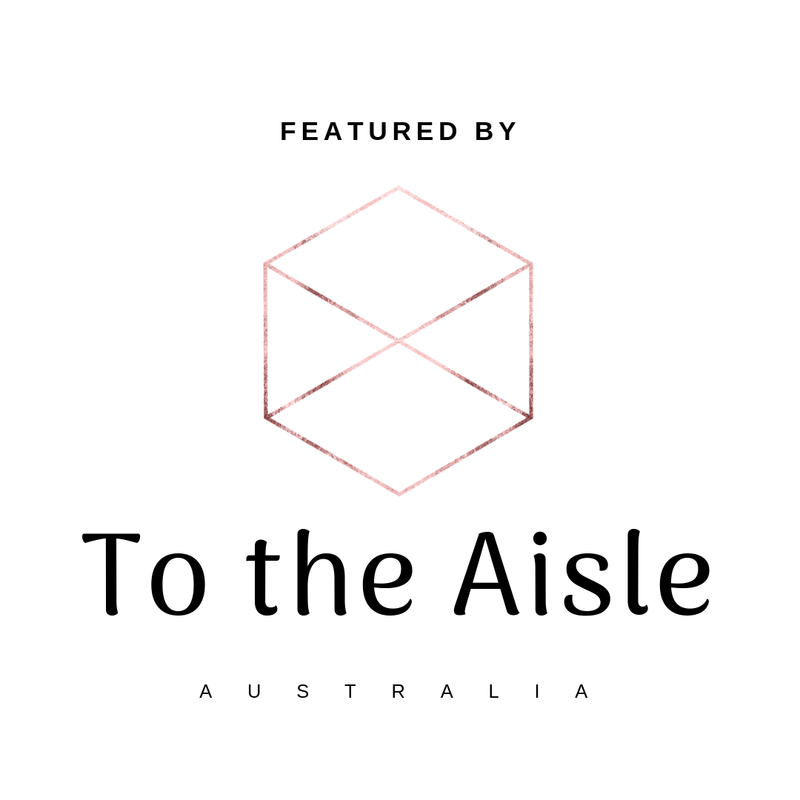 We are excited to announce that in just under 12 months, TLBC has become a national brand, with locations in Perth and Melbourne and now offering license opportunities to other Australian locations and worldwide. My favourite part of this job will always be being at the celebration, serving clients and guests and above all, exceeding expectations. It sounds cliche, but I now know that this is what I was born to do. I believe there is nothing more satisfying than to serve people. It makes me happy and it makes them happy. It’s not a job for me, it’s a way of life and comes naturally. Our business concept is simple. We are a full mobile bar service that comes in the shape of a classic vintage car. 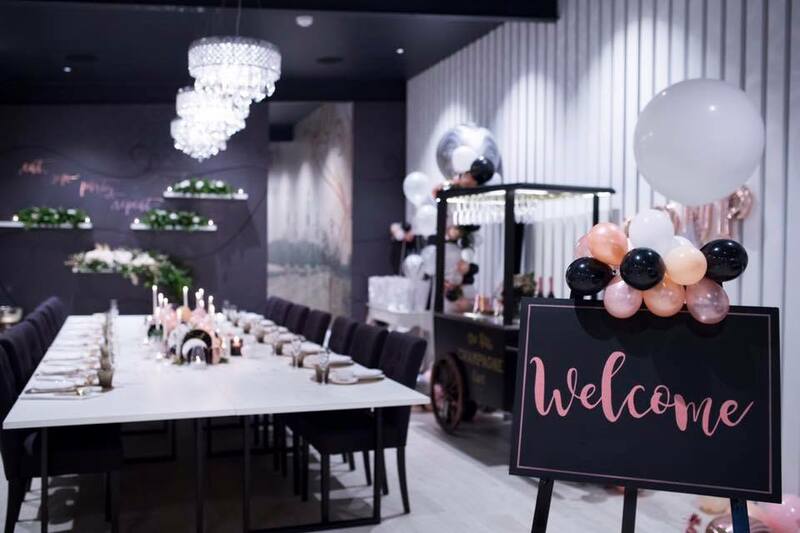 We are available for all types of events including weddings, birthdays, fashion shows, promotional events, corporate events, Christmas parties, the list goes on. We also have several packages available; where the client can choose to supply their own beverages, or alternatively we can supply; we can also attend festivals or concerts as direct sellers to the public. What sets us apart is our customer service. We pride ourselves on going the extra mile and our attention to detail is unrivalled. We offer a full mobile bar service. This can be anything including engagement celebrations, bucks/hen’s parties, bridal showers, pre/post-ceremony drinks and of course our full ceremony and reception package. Our staff are professional, RSA trained and we can ensure that we will go over and above what is expected at any event we are hired for.